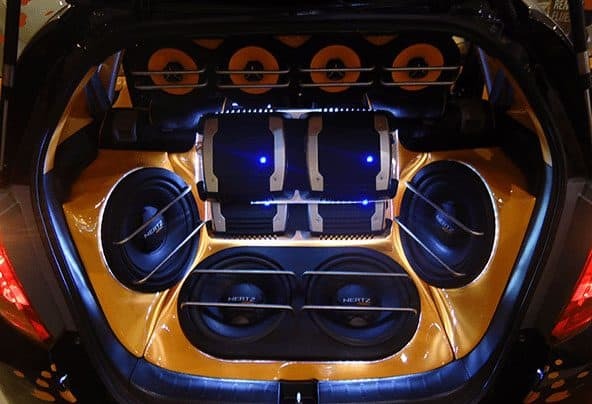 So you’re planning to build an impressive car audio system that fully meet your needs? Coming up with a complete audio system for your vehicle isn’t a hard tasks as you might have thought. However, it can be a challenging process since the various components including the speakers are designed for specific cars. This guide is going to take you through one of the simple steps in building an affordable car audio system. The first thing you need to consider before anything else is figuring out all the things that you require. This is actually the most difficult part in the whole process. It all depends on what on your expectations. May be you’re looking for a system that will make you feel like you’re in some sort of a concert or the one that will just make you relax. Some people prefers a big bass while others are just okay with a medium one. Starting the whole process with a goal in mind is very important since everyone has his/her own personal preferences. Figuring out the things you need for your car audio system will save you from potential waste of money. Why should you purchase a speaker that doesn’t meet your needs anyway? Generally, everyone’s desire is to have a great sound system that enriches your music through production of natural and clear sound. A great sound is not the loudest neither is it the expensive. It should be the one which truly satisfies your desires. In order to come up with a great car audio system, you need to meet your requirement first. You should ask yourself some questions like, what is the most important component that you want to feature in your car’s audio system and what do you expect the vehicle stereo system to do for you. Don’t panic if you fail to come up with an answer right away, just take a look at your existing set up and you’ll figure out all you need. Once you get an answer, you can proceed to the next step. Before proceeding to the next step if you also have problem with tonneau cover you can read review here. Speakers are the cornerstone of the whole of the sound system. Actually, all other sound components in your system are there to support the speakers. There are different models of speakers out there that you can choose from. You should take your time and research on the ﻿﻿best ones available for your car. Some of the good brands you can choose from includes Polk Audio, JBL, and Kenwood among others. The best way to find best car audio speaker units is by researching and reading up on the online markets. You will be capable of figuring the best speaker units you need based on the customer comments and reviews. Your car’s design and makeup will determine the type of speakers you go for. The vehicle’s mounting location will determine whether you’ll go for full range speakers (also referred to as coaxial speakers) or 6x9 or 6.5 units. Usually, 6.5-inch units are preferred for rear deck speakers while front car door speakers are best suited with 6x9 inch units. The most difficult process is usually finding the best balance between clarity, performance, sharpness and the sound depth of the speaker. After you’ve found the best speakers for your car audio system, now it’s time you go for the head unit. There are different models of aftermarket head units including digital media receivers, single din head units and double din head units. The various receivers are offered with a wide array of functionalities such as Bluetooth connectivity, satellite radio and others. The head unit is the core of your car’s audio system and therefore should be given adequate attention. Preferably, you need to go for a head unit featuring a large touchscreen to enrich your vehicle’s dashboard. This will make your car look nice just as it sound. Another important factor to look for in a car’s head unit is usability since your head unit serves as your sound system’s interface. Component speakers are separate crossovers and tweeters that produces an outstanding sound imaging and adds more realism to your music. These speakers can make a big difference when it comes to the quality of sound emitted by your system. It is usually recommended that you move full range speaker units from the first step to the car’s rear deck and then fix the component twitters and crossovers up- front. It is important to note that installing component speakers involves a more complex process than their full-range counterparts. You’ll need an external multiple channel amplifier that gives you the freedom of adding a new components as you go. Multiple channels are more flexible compared to the factory units. Amplifiers are like boosters since even aftermarket head units (receivers) are not usually not powerful enough to drive the entire audio system. Amplifiers come in various channel variations but the more the number of channels the better. You can prefer to use two of the channels to power the front-mounted speakers and bridge the other two channels’ output for powering a subwoofer. Five channels amps are the most reliable as they allows you to power the whole of the sound system, subwoofer included. Four channels are usually used for powering the front and rear speakers while the fifth channel is purposely for powering an external subwoofer. After selecting an amplifier, now drop a subwoofer into the mix. This gives you an opportunity to enjoy that bass that you’ve been missing. If you selected a 4-Channel amp in the previous step, then you’ll require another single channel amp for driving your sub-woofers. If you opted for the 5-channel amp then you’re better off because you’ll use the fifth extra channel for driving the subwoofers. However, for more professional and robust installation, it is recommended that you go for a separate mono channel amp for powering the subs. There are different sub-woofers available in the market. You should never install a subwoofer inside a wrong enclosure as this will affect its performance. It is recommended that you built your own box with the correct dimensions or just go for an enclosure in the market. Don’t destroy your ported box subwoofer by forcing it in a sealed enclosure.